I introduce myself, my name is Marie Proud'hom. I am French and I am 22 years old. My university is called EMBA and I am in the ISUGA section. My school specializes in international trade (business) with Asia and I chose to study Korean language. I have been passionate about Korea since I was young and coming to Korea was a dream for me. I have been to Korea last year (2017) for a university stay in Hongik University for 4 months. To complete my 3rd year in my university, I was obliged to do an internship abroad and I wanted to return to Korea. This is an opportunity for me to practice my Korean, my English and to discover Korean culture. I started my internship on March 2nd at ACOPIA. This internship allowed me to participate in various activities such as coffee or Kpop camp. We have the opportunity to organize events and participate. In addition, we must organize a special event, so I chose to do an "escape game". This creates good experiences even if it's complicated to organize it. 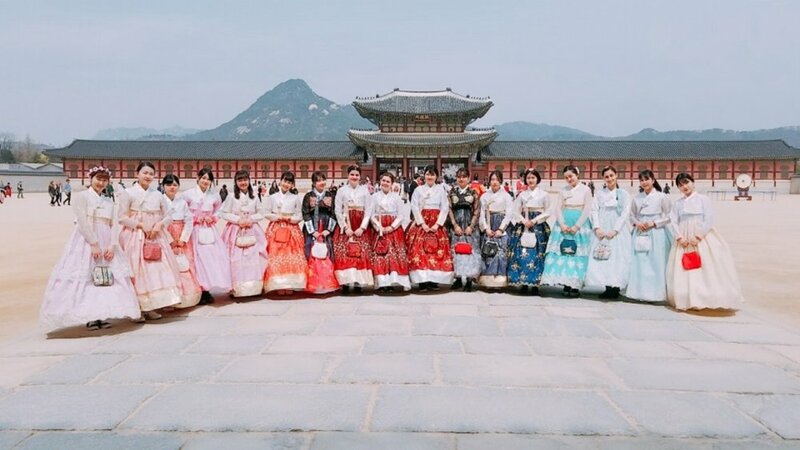 I really enjoyed taking part in some activities with the Kpop camp such as the visit to the palace 복and the hanbok fitting. This allows us to discover more the Korean culture and better understand society, customs. The organization of "movie event" is also interesting. We meet people who are interested in our culture and it allows us to know what the foreigners think of us. This is rewarding. The only point I can blame Acopia is that he creates a lot of different activities. So, I do not know how to describe Acopia. We are an NGO whose mission is to help the poor in Asia, only we never talk about it.